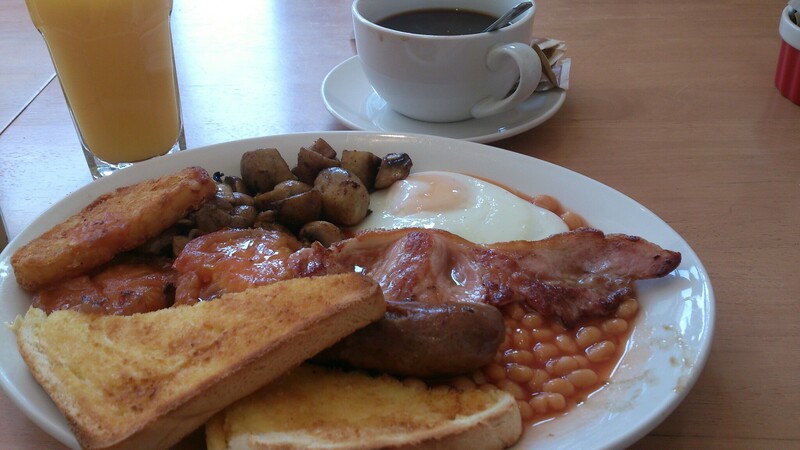 Full English with coffee/tea and orange juice! Hash brown, English sausage, bacon, fried egg, baked beans, grilled mushrooms, grilled tomato, and toast. All this for a very reasonable £ 6. Dizzy’s Cafe, College Green. Open till 4 pm most days.